In a duel of two of the league’s best, it was the New England Patriots that came out on top 31-17 against the Green Bay Packers to improve to 7-2 on Sunday night at Gillette Stadium. 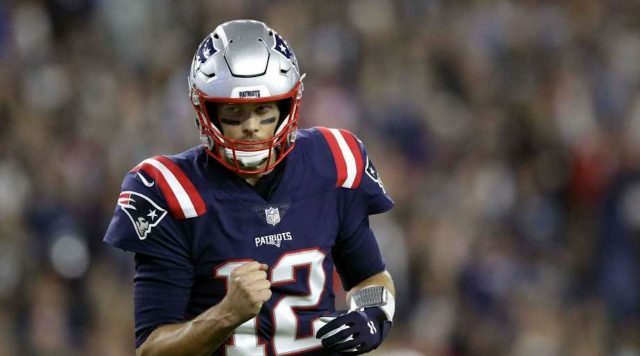 The game was insanely close throughout and was tied for almost the entire third quarter when quarterback Tom Brady threw a screen pass to Julian Edelman who threw a momentum changing pass to James White and scored just a few plays later. Brady and wide receiver Josh Gordon stuck the blade into the proverbial heart of the Packers when he broke free on a touchdown mid way through the fourth quarter to add some much appreciated separation on the scoreboard. The Patriots started off guns blazing on their first possession with one of the fastest offensive drives in recent memory with Brady going to White on a regular basis, tearing apart the Packers defense. Brady also went to Dorsett more than once for the first time since the match up against the Indianapolis Colts. The Patriots continued with their laser light show with a toss-up ball to Gordon before White gave it back to Brady on a delayed flea flicker to Edelman to get the team inside the 20-yard line. The defense continued to dominate the first half with cornerback Stephon Gilmore going back-and-forth between Devante Adams and tight end Jimmy Graham. The Packers finally struck gold when Rodgers rolled out of the pocket on third and goal and hit Devante Adams for the touchdown to tie up the game 10-10 in the last minutes of the first half. The Packers took a hit on defense when linebacker Jermaine Whitehead was questionably ejected by slapping center David Andrews on the side of the helmet. The Patriots opened up the running game late in the first half with Cordarrelle Patterson, who is not listed as a running back, with his most notable run being tug of war play with cornerback Jahir Alexander trying to pull him backwards. Patterson carried the ball five times for 51-yards and a touchdown. The Packers came out in the second half tying the game up with a touchdown to Graham to tie up the game 17-17. Green Bay made a crucial goal line stand after Patterson’s second rushing touchdown was reversed after review. However, they weren’t able to get anything going with a three-and-out. After two great grabs by Marquez Valdez Scantling, Lawrence Guy was able to punch the ball out of the hands of rookie Aaron Jones to breathe new life into the Patriots offense that was two for eight on third down up to that point into the fourth quarter. Brady and the Patriots took advantage with two highlight plays which included the Gordon catch and run to put the game out of reach. The Packers had one more chance to make magic happen on a fourth down but it was not to be as the pass fell incomplete giving the Patriots the ball back with less than four minutes to play. James White: White is up there with Adam Thielen and Tyreek Hill as one of the league’s most dynamic weapons. Football is a game of adjustments and no team has been able to find an answer for the Wisconsin alum. Cordarrelle Patterson: Patterson was once again the Patriots’ leading rusher and is ironically not a running back. The Tennessee alum carried the ball five times for 51-yards and a score. Patterson is carving out multiple rolls as the league’s best kick returner in yardage per run and as a receiver/running back hybrid. Josh Gordon: Gordon passed the century mark for the second time in his Patriots career catching five passes for 130 yards and the touchdown that put the game out of reach. Stephon Gilmore: Gilmore was given lockdown duty against Adams and the play that would sum up who won that match up is on the first drive when the former Bill took the ball right out of his hands. Trey Flowers and Adrian Clayborn: The two defensive ends acted as one unit causing the sack that effectively ended the game. Both men kept up the pass rush the entire game and are a duo to watch going forward.